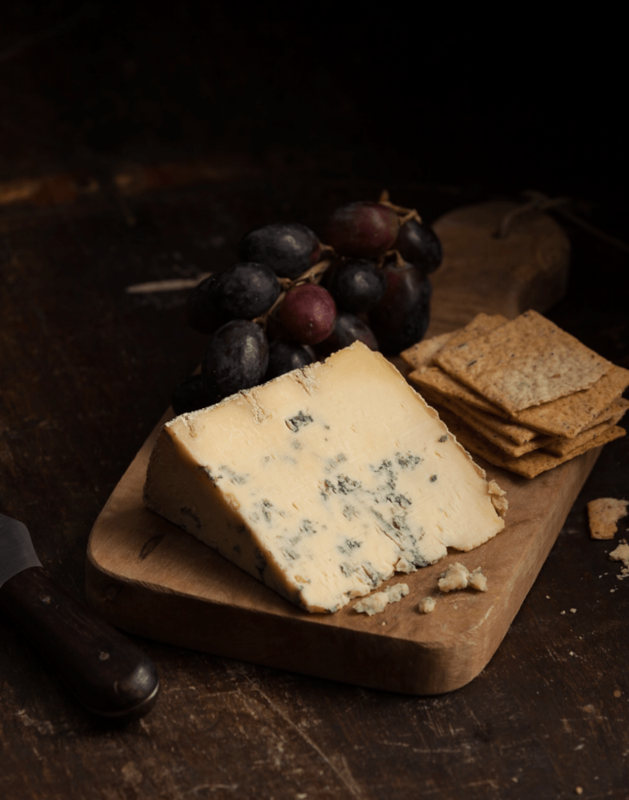 Wensleydale blue cheese propped with Finest crackers and black grapes… love this shot. Nice, simple and there is no doubt that the cheese is the hero. Chopping board from TK Max and the knife hired from The Lacquer Chest.